So Apple announced the mega updated iOS 7 Beta with numerous features and a major design renovation. But you might get bored going through that list of pretty annoying features – are they even new? We’d see. So here we have tried to compile a list of features that you should know about, clearing all the hundreds of them out which are pretty much there to gloss the announcement slides. Some of these features/updates might not even be in the flashlight; helping you to get your hands on some of the hidden iOS 7 features that you could have missed otherwise. Swipe to Go Back: when you need to go back in Safari or other apps, no more pain of tapping on the tiny back button, just swipe in from the left and ta da. Notification Center on Lock Screen & Synced Notifications: You can now access the Notification Center on the lock screen. Also, notifications now sync between OS X Mavericks and other iOS 7 devices to make sure you don’t see the same notifications twice. No More Waiting for Updates on Notifications: apps will load the notification pushing an alert so you don’t need to wait after opening Facebook to see the updates. 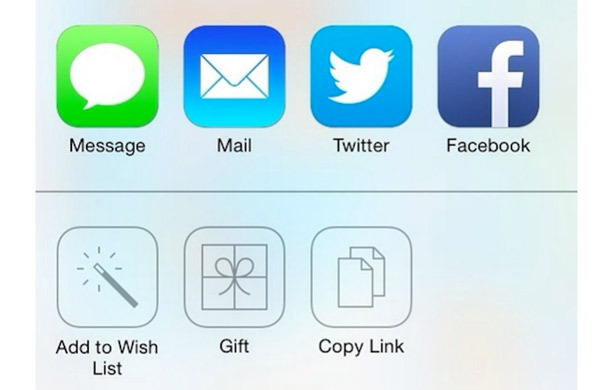 App Store Wish List: perfect option to keep an app that you don’t want to purchase right away. 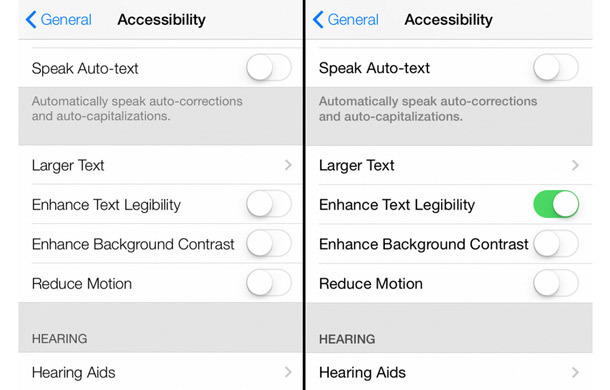 Better Text and Accessibility Options: make text easier to read and have more accessibility options. Kids App Section: App Store will now include a kids section making the search for finding age appropriate apps easier. Enhanced Parental Control: Guided Access API supports for apps to tie into Apple’s iOS controls leading to a better kids mode for iPhone and iPad. 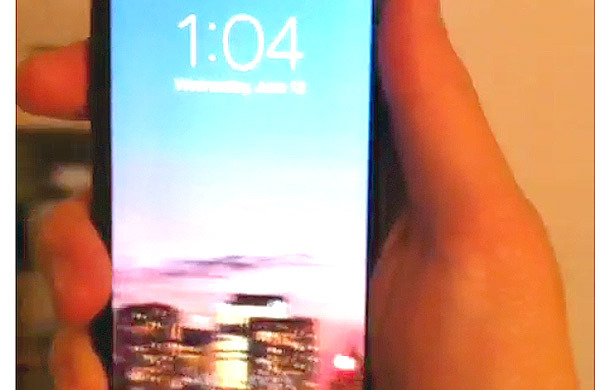 Dynamic Wallpapers: Set the panoramic photo as a wallpaper and move the device to see the whole picture. Block Calls, Messages and FaceTime Calls: iOS 7 also includes built-in support to block calls, messages and FaceTime calls. No need of third-party apps. Support for Game Controllers: one huge update for gamers – iOS 7 brings support for iPhone game controllers! Send Apple Maps To Your iPhone: OS X Mavericks will now send Map details to your iPhone or iPad making sharing between your devices simple and easy. Better Search with Siri: Search Bing, Wikipedia and Twitter right from Siri – you heard it right. Find Popular Apps Near You: At a gym and looking for some relevant app? Find apps popular at a place near you; like a museum or at a beach. iCar Integration from 2014 models: iPhone will AirPlay to the dash offering access to the iPhone apps and features, starting from 2014 models. Automatic App Updates: no more checking updates in App Store as iOS 7 includes automatic app updates. Smarter App Updates: iOS 7 also groups app updating by batching multiple app updates and preferring WiFi to save battery life. AirDrop: Easy, hassle free, wireless sharing between iPhones and iPads nearby without the need to upload to a service or all be on the same WiFi network. More than 8 Safari Tabs At Once: Sigh! Finally, users on iOS 7 can open more than 8 tabs in Safari at once. 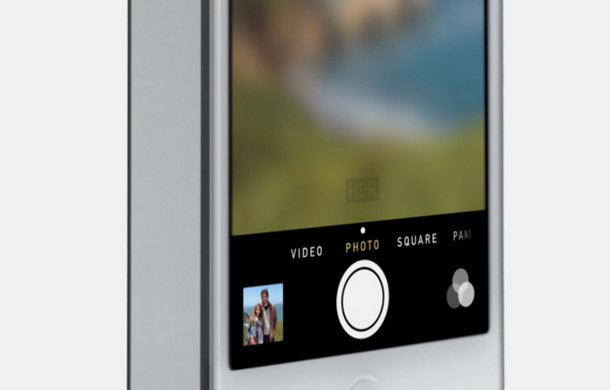 New Camera App with Live Filters: iOS 7 features an updated Camera app with faster access to panorama and improved design. For those who like Instagram, the live filters will be at the top of your favorite iOS 7 features list. Pinch to Zoom: while shooting videos, simply pinch to zoom. Many more improvements such as more control of iPhone with Siri, new multi-tasking with previews, better sharing menu, Theft deterrent, iCloud video and photo sharing and much more! Apart from the completely new look and design, elements of the IOS system will change to match the colors of your newly selected background – whenever you do that. iOS 7 Beta is available for iPhone 5, 4S, 4 and will be rolled out for iPad variants too. Not all the devices will get same features and the final system is expected in fall this year. Do try it to see if you like the new top iOS 7 features or if it looks too-less to you too. Apple Offers Unlocked, SIM-Free iPhone 5s in U.S.!